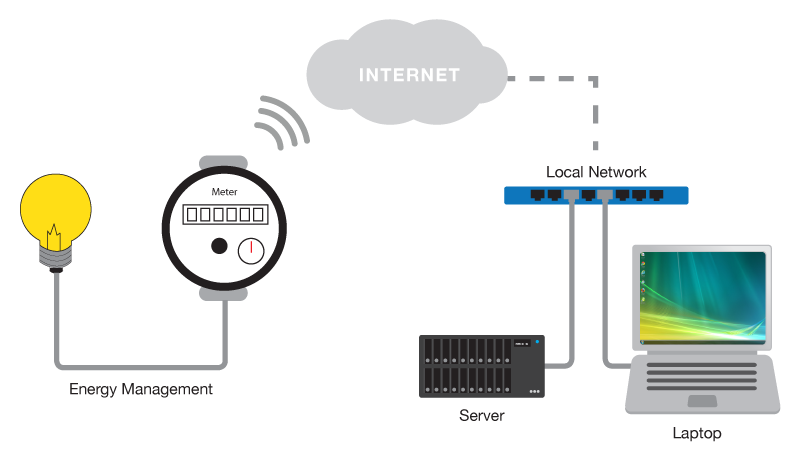 Siretta industrial modems and router solutions are used in many different energy management applications where remote monitoring of energy usage and/or remote control of electronic devices is required. The Siretta industrial modems, routers and linkCONNECT – intelligent managed modem solutions are essential to facilitate energy management systems to function autonomously in the field. These solutions offer reliable connectivity and built in redundancy to ensure a consistent connection and uninterrupted energy supply across the country. In addition to providing internet access to the remotely connected devices to allow them to add additional functionality to the applications they are connected to, the solutions are also capable of providing fault diagnostics and online status through Siretta cloud enabled services. One major example usage of energy management is with solar energy to monitor the efficiency of the entire system when capturing energy from the sun in the daytime and power usage during the night. This information is key for being able to determine the ability for your system to run completely day and night without failing. Monitoring the performance of remote oil pumps and drilling stations to ensure that schedules are maintained and production of raw material is not interrupted due to faults and equipment breakdown. Monitoring the position of personnel and the operating performance of digging equipment to ensure that the production and discovery of raw material is not interrupted due to equipment breakdown. Track energy production in real time and monitor the panel performance over time to determine the panel efficiency. Provide detailed energy production throughout the course of the hour/day/month/year. Monitor individual power plants which make up the total power grid including: ‘Base load power plants’ which run almost continually and provide the base energy to the grid. ‘Peaking power plants’ which meet the hourly and daily peak loading when energy usage is increased. ‘Load following power plants’ which follow the variations to the daily and weekly base load due to known trends in energy usage. Control and monitor distribution stations which manage the energy supply to individual villages, towns and cities. The energy distribution network is made up of a number of redundant parts which are dynamically enabled depending on base load, peak load and network faults. Automatic Meter Reading (AMR) provides an easy way for the energy provider to accurately monitor and charge for services used within the home. This ensures that the energy bill is accurately monitored to provide an estimation of the total energy usage within the home. This also enables a simple way to receive alerts when usage exceeds preset thresholds preventing regular overuse of energy.